South Africa at this time is approaching the local elections wherein the entire working class are promised heaven and earth. But only on the basis that they vote for a certain political party often capitalist parties such as African National Congress whose leadership is dominated or constituted of the capitalists and the aspiring black capitalists. The ANC’s implementation of neoliberal policies such as BEE, GEAR, etc. shows that indeed the ANC is an anti-working class party; However, the bourgeois politicians of the capitalist parties have initiated the populist practise of visiting working class communities during election campaigns with the prime intention of getting the masses to vote for their parties. The oppressed and exploited masses are expected to habitually fall for these hypocritical lies propagated to them through the state ideological apparatus during these inane campaigns. We are justified in describing these campaigns as ‘hypocritical lies’ given the socio-economic crisis faced by the masses. The resources of the state which are supposed to benefit the masses by addressing their socio-economic conditions are misused to enrich the pockets of tiny ruling elites. 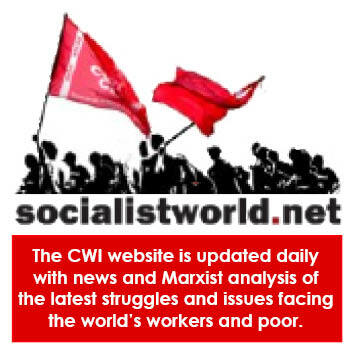 The working class which is a victim of South African capitalism is frantic for radical change as they are currently living in destitute conditions. Theywill seek for any alternative available in the desire to alter their destitute circumstances. The type of ‘politics’ promoted by the bourgeois politicians hasn’t and doesn’t only affect the oppressed and exploited masses economically but it also arrests the development of class consciousness. South Africa is becoming a worse country for the working class and the poor. This country is going to the dogs through the many wrongs that are being done. A lot has been done that passes unchallenged because of the weak level of working class organisation and leadership despite noisy protests. Moreover, corruption is on its highest stance in South Africa ―RSA currency is depreciating against the foreign currencies, money laundering is now a ‘customary law’. Seeing no clear alternative, many young people are nursing the capitalist politicians’ zones by turning into careerists taught that politics is a means of enriching one’s financial position through tenderpreneurhip and so forth. More-so, some youth often endorse and dance to the capitalist songs due to the looming hunger they’re confronted with and their aspiration of becoming rich too. The bourgeois politicians are hard-working at creating fantasies for the poor while not addressing genuine and immediate matters; when last was the ANC heard saying anything genuine about Trade Unionism and Essential Services? What is ANC doing about the spiralling violence in the country ― the latter Xenophobic attacks in Tshwane?! Indeed, the violence is a product of the struggle for resources by this capitalist elite. 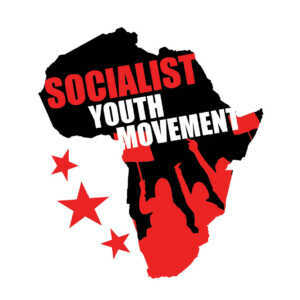 It is, however, more important than ever for the South African working class and clear socialist-revolutionaries to arm each other with the tools of analysis and promulgate the culture of political leaders who serve the communities selflessly; promote the practice of always putting the communities first before profit; promote a culture that will make the vote secondary and the needs of the people primary. The people of South Africa should reclaim their own history and rightful place in the political space of this country, otherwise, this country will never be a rainbow nation is wished and still wishing to be.